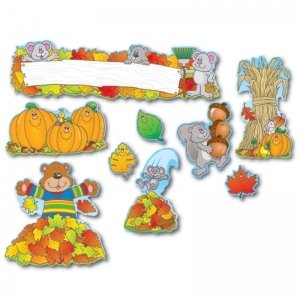 Decorate your classroom for autumn with this Fall mini bulletin board set. This cute, spring-themed bulletin board set includes: 10 spring accents, 30 bug accents, a blank rainbow header, and a resource guide. The resource guide is equipped with reproducible badge and bookmark patterns. This set is a fun way to ring in Spring! 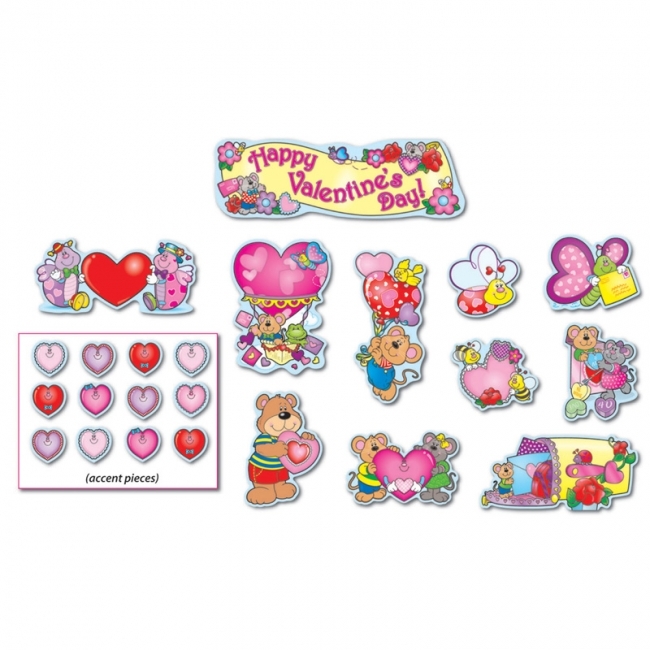 This festive, holiday-themed bulletin board set includes: 10 Valentine themed vignettes, 30 heart accents, a header, and a resource guide. The resource guide comes with reproducible Thinking Tags to stimulate creative thought and writing. 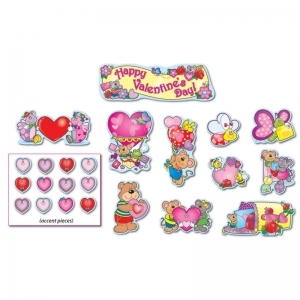 The 56-piece Valentine's Day mini bulletin board set easily updates your classroom with a lovely look that matches the season! Perfect for bulletin boards or walls, this delightful set features an array of soft pastels, and it includes valentine cards, a header, a mailbox, and assorted hearts. 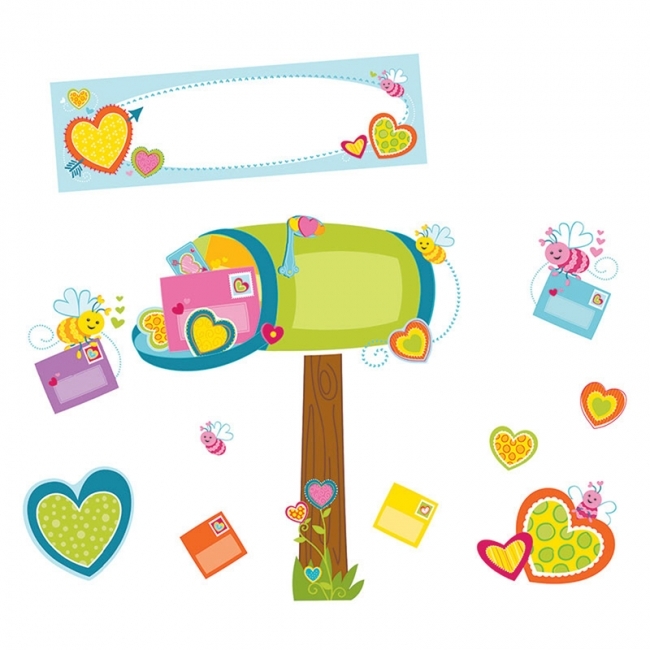 A time-saving solution for adding flair, seasonal mini bulletin board sets are essential for every classroom. 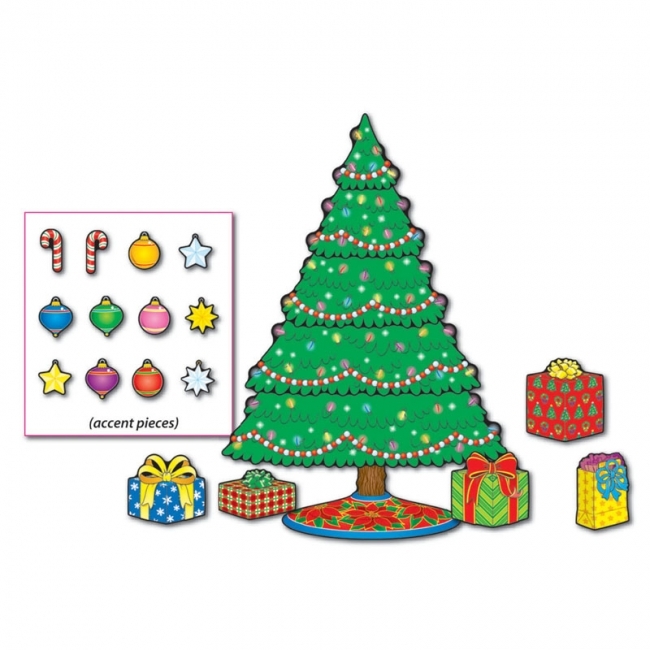 Ideal for small spaces, these festive sets allow recognition of changing seasons without interfering with curriculum display space. 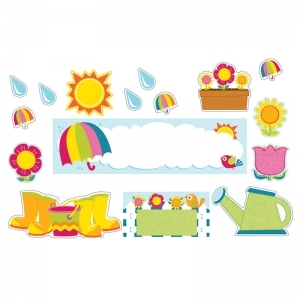 Be sure to add coordinating products to create a cohesive classroom theme! 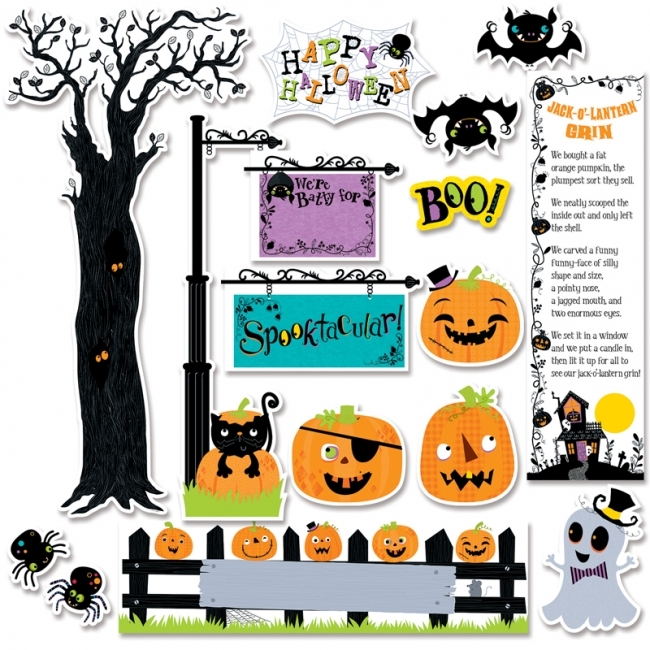 Give your learning space the spooky style that students love with the 46-piece Halloween mini bulletin board set. 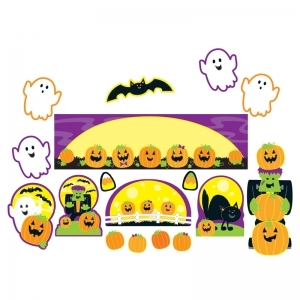 This festive set includes cats, bats, monsters, ghosts, pumpkins, jack-o'-lanterns, and candy corn, making it easy to update your classroom for the season! 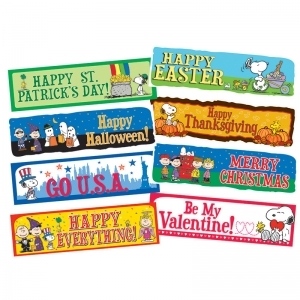 A time-saving solution for adding flair, seasonal mini bulletin board sets are essential for every classroom. Ideal for small spaces, these festive sets allow recognition of changing seasons without interfering with curriculum display space. 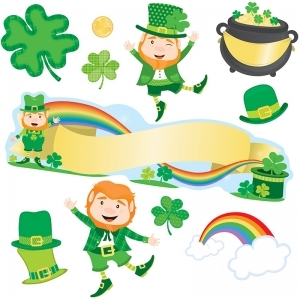 Be sure to add coordinating products to create a cohesive classroom theme! 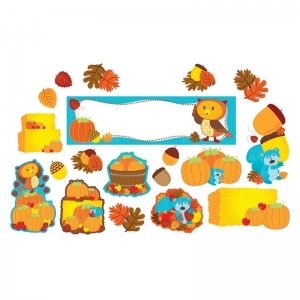 Decorate your classroom for the colorful autumn season with the 51-piece Fall mini bulletin board set. 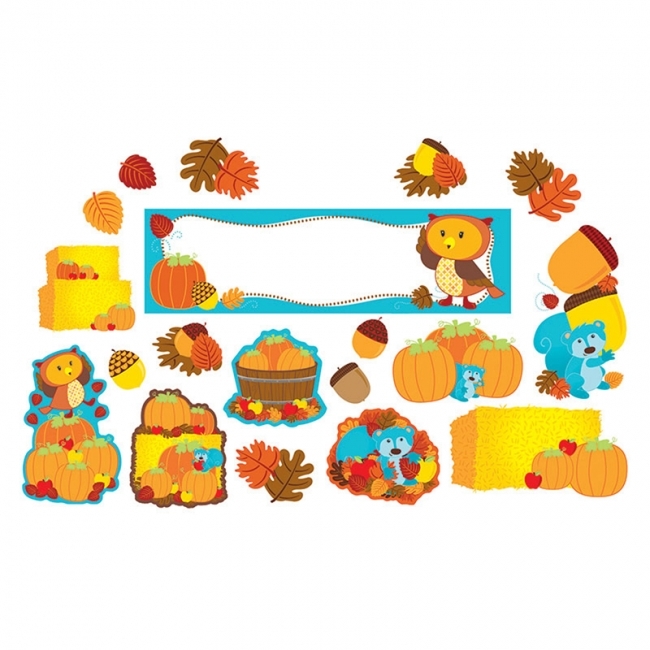 This festive set includes pumpkins, acorns, owls, squirrels, and leaves to recognize this beautiful time of the year! 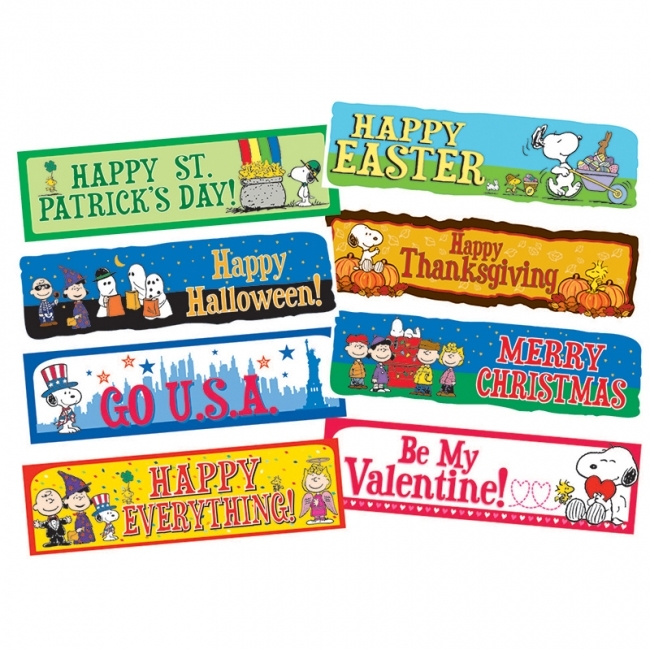 A time-saving solution for adding flair, seasonal mini bulletin board sets are essential for every classroom. Ideal for small spaces, these festive sets allow recognition of changing seasons without interfering with curriculum display space. Be sure to add coordinating products to create a cohesive classroom theme! 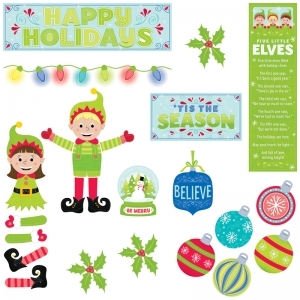 Bring holiday cheer into your classroom with the 55-piece Holiday Fun mini bulletin board set. This set features a Christmas tree, gingerbread house, candy canes, ornaments, presents, and other seasonal favorites, making it easy to update your classroom for the holiday. 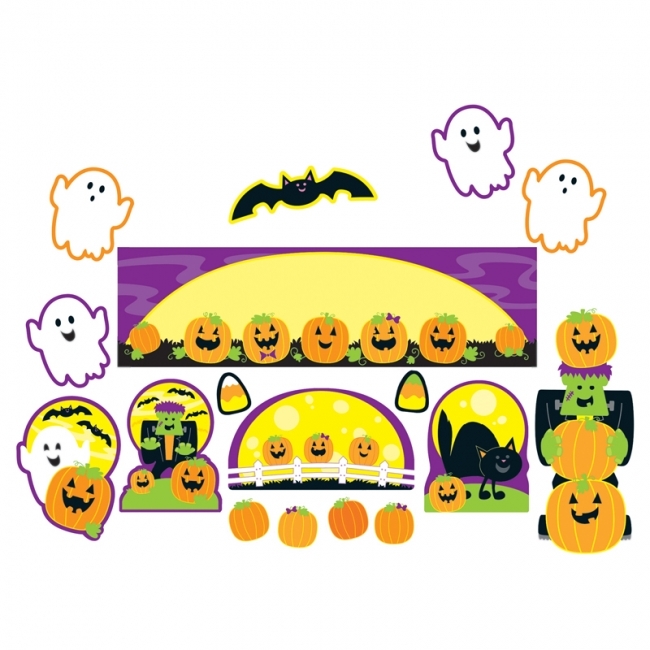 A time-saving solution for adding flair, seasonal mini bulletin board sets are essential for every classroom. Ideal for small spaces, these festive sets allow recognition of changing seasons without interfering with curriculum display space. Be sure to add coordinating products to create a cohesive classroom theme! Transform your classroom into a winter wonderland with the 50-piece Winter mini bulletin board set. This seasonal set features snowflakes, snowmen, penguins, cold-weather clothing, and playful winter scenes. A time-saving solution for adding flair, seasonal mini bulletin board sets are essential for every classroom. Ideal for small spaces, these festive sets allow recognition of changing seasons without interfering with curriculum display space. Be sure to add coordinating products to create a cohesive classroom theme! This 18-piece set offers a "spooktacular" way to dress up the classroom for the haunted holiday. Use the pieces to enhance student work displays, an October calendar, whiteboards, doors, and hallways. 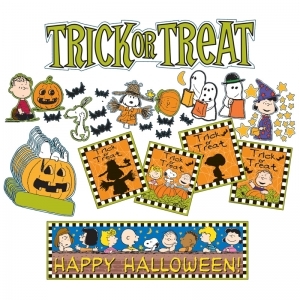 Set contains 1 easy-to-assemble tree, 3 large jack-o'-lanterns, 1 pumpkins on a fence display, 1 sign post with 2 interchangeable signs, 2 festive display messages, 1 spider web accent, 2 spiders, 2 bats, 1 ghost, 1 Halloween poem, and a guide with activity and display ideas. Includes 18 pieces and range in size from 3.5" x 2.5 " to 6" x 21". Make your classroom elf-sufficient with this festive holiday set. Use the pieces to enhance holiday or student work displays, a December calendar, whiteboards, doors, and hallways. The elves can be posed to hold signs, boughs of holly, ornaments, messages, or the holiday poem. Contains 2 poseable elves (girl and boy), 1 Happy Holidays headline, 1 'Tis the Season sign, 1 Believe sign, 1 Be Merry snow globe, 2 strings of holiday lights, 5 ornaments, 3 boughs of holly, 1 holiday poem, and an activity guide with display ideas. Includes 25 pieces and range in size from 3" × 4.75" to 21" × 6". 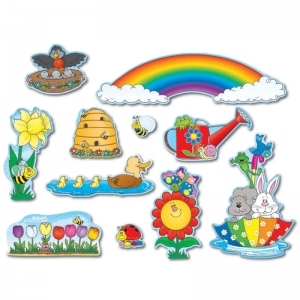 Eureka Mini Bulletin Board Sets are a great way to spice up any bulletin board, hallway, wall and classroom space with fun designs and themes. Includes 8 banners featuring art to celebrate 6 major holidays, 1 patriotic and 1 happy everything. Each banner measures 21" W x 6" H.